4 images. 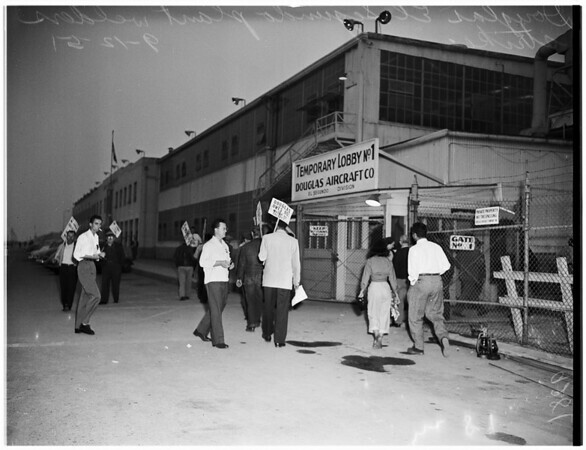 El Segundo Douglas plant welders strike, 12 September 1951. Pickets with placards, etc.